EZ Shampoo Hair Washing Basin from HealthyKin.com allows for a refreshing, revitalizing shampoo without getting out of the bed. 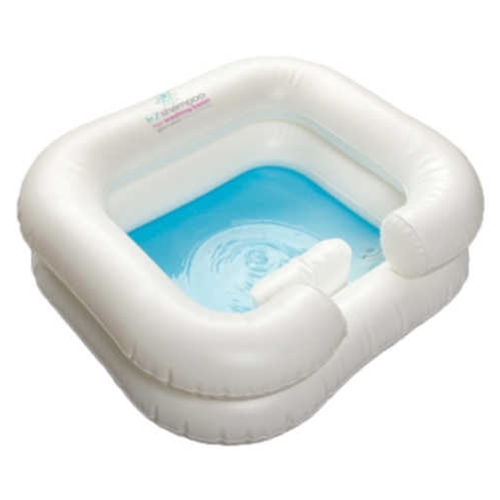 Comfortable and convenient, the inflatable basin provides secure, form-fitting support that cushions the head and shoulders. A caregiver can quickly shampoo and rinse your hair without awkward lifting and bending. It is made of heavy-duty vinyl and is latex-free. My beautician came to my house to shampoo my mother's hair and it was wonderful. Great product.